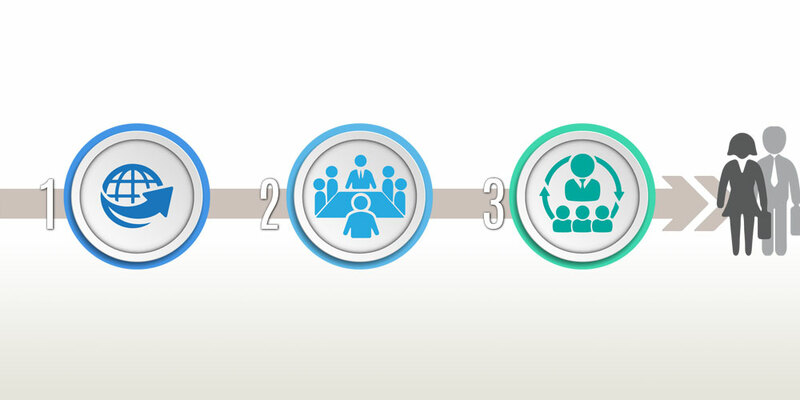 Preparing for a central selection board is of utmost importance in an acquisition professional’s career development, especially the Project/Product Manager’s Centralized Selection List Board and the Project/Product Director Centralized Selection Board. 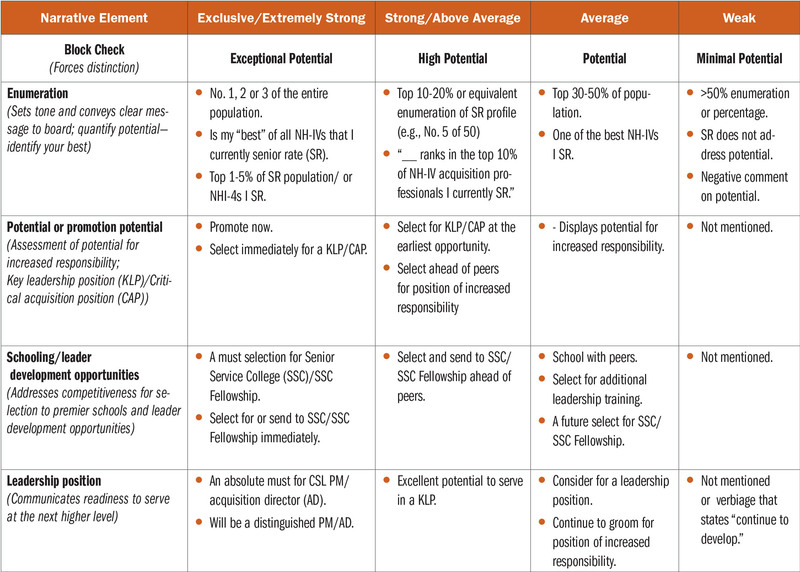 Selection boards evaluate a candidate’s entire body of work, including the Acquisition Career Record Brief—highlighting assignment history, certifications, acquisition and leader training, education and awards—resume, performance appraisals and the senior rater potential evaluation (SRPE). Block check: Forces distinction (exceptional potential, strong potential, potential or minimum potential). Enumeration: This should be the first sentence in the senior rater’s narrative and probably the most important sentence in the write-up. This sentence sets the tone and sends a clear signal to the board where you stand among your peers. Potential: This element is an assessment of promotion potential. Broadening assignments/schooling: Addresses selective schooling and professional development programs. Be careful with your senior rater narrative. John is one of the top two ___ I rate in the organization (only rates 2 people). Clearly in the top 5% of ___ I rate (small population). Be consistent. Make sure words match block check. What is not said can have the same impact as what is said. Don’t say the same thing for all your people: boards can easily detect repeated verbiage. Avoid using the same verbiage year to year for the same individual—in other words, steer clear of the modified cut and paste. Do not mention block check in the narrative. Selection boards should understand what input the rating chain is providing without having to guess. 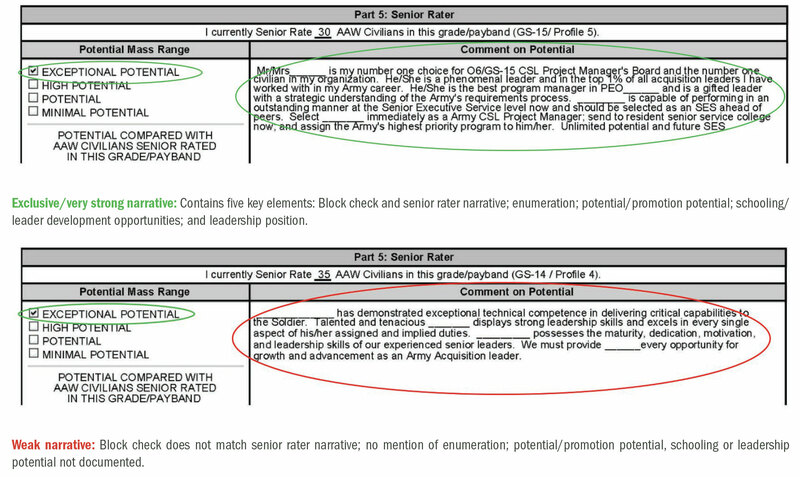 What is important to board members: senior rater narrative, senior rater label and duty description. Here are some sample SRPEs (both strong and weak) highlighting key elements to consider. 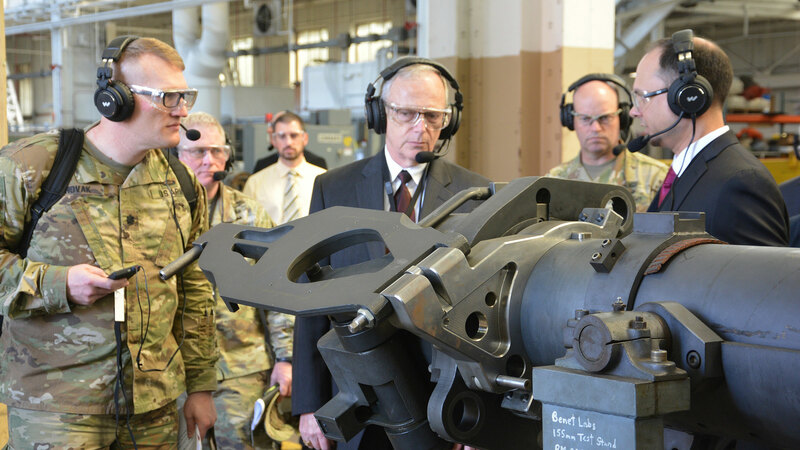 Remember that the SRPE documents an acquisition professional’s leadership potential to serve in positions of increased responsibility and grade. 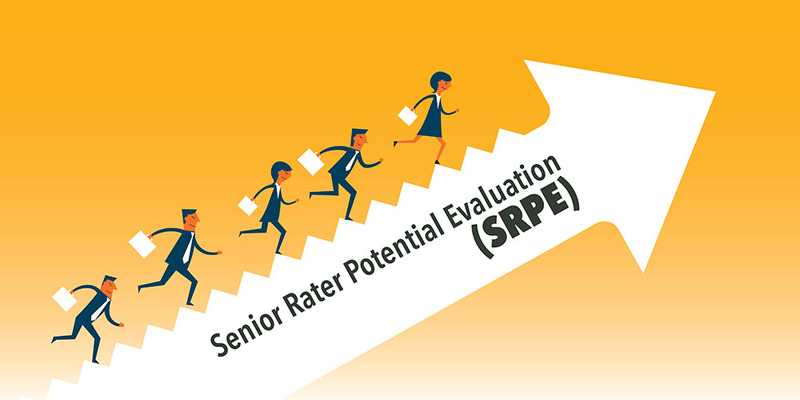 The senior rater narrative is key, and its comments are among the most important parts of the SRPE. It is imperative that senior raters understand and use it to effectively convey the employee’s leadership potential. Selection boards should not have to guess what a senior rater is thinking. For more information on SRPE, go to the Army DACM office website. Spread the word! 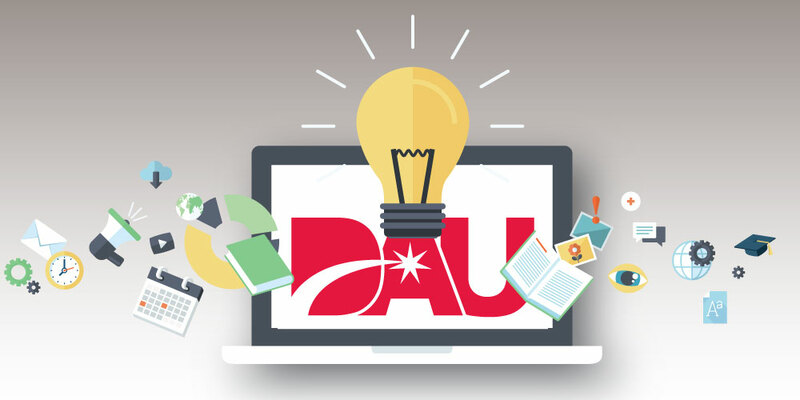 You can get all the newest acquisition career and workforce information mailed straight to your inbox.